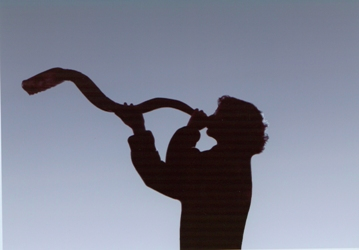 Yom Kippur, which falls on the tenth day of Tishri, is the holiest day of the Jewish year. It’s a day of transcendent joy, a day of restoration, and a day of self-denial. A time to confront the deeds of the past year and reconcile with oneself and with anyone whom one has hurt or wronged. Its ultimate intension is to cleanse the soul of sin before God. On this day, the Jew feels the strongest sense of partnership with God, knowing that if the struggles to redress the wrongs he has committed, God will offer forgiveness. 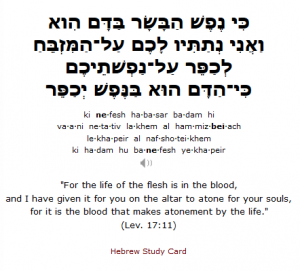 How can a committed feminist and havurah Jew — one who does not feel especially comfortable in most synagogues and who has long been unwilling to pray for the rebuilding of the Temple or the restoration of sacrifices —find herself, often, deeply moved by the words of a liturgy that evokes not only the sacrifice of animals, but the spraying of their blood around the Holy of Holies in a ritual from which women were totally excluded? It is common nowadays for non-Jewish American children to get their Jewish literacy through the holiday of Hanukkah. Comes in the winter (just like Christmas), involves gift-giving (just like Christmas). Plus, you know, menorahs and the dreidel game. The fun factor is very high. But this emphasis on Hanukkah is a strange thing. Because in terms of importance, Hanukkah doesn’t hold a, well, candle to Yom Kippur. Known as the Sabbath of all Sabbaths, Yom Kippur is the single most significant day of the year for Jews. It’s a solemn day, yes, but in a good way. And in the name of religious literacy, it seems like we all ought to at least know the basics. Yom Kippur, the Day of Atonement, provides a day of intense self-scrutiny and self-affliction within which to undertake looking inward with the primary goals of atonement, forgiveness, and spiritual cleansing and renewal. The Mishna (Yoma 8.9) teaches that Yom Kippur allows us to atone for transgressions against God, but does not allow us to atone for transgressions against our fellow human beings unless we have first made peace with one another. The Jewish textual tradition evolved to emphasize the idea that by repairing ourselves and our relationships with others, we are doing our part to repair the larger world. Do you wonder what your children are learning during the first several weeks of school? Much of the material revolves around the fall holidays, which offer us an opportunity for change and renewal. You may be thinking: this time of year is so challenging! School has just begun, and life seems a bit crazy. Plus, the fall holidays can be confusing (so many terms, information, and rituals). And, much of the holiday observance revolves around worship in synagogue, which may be difficult with young children and/or may not feel comfortable for everyone. Let us stop for a moment and allow ourselves time to reflect on the possibilities. We get so caught up in daily activities, work, and chores that we need time to consider our behavior, to figure out how to improve, and to ask ourselves and our loved ones for forgiveness. During the latter fall holidays, we also benefit from having a chance to rejoice, to decorate, and to dance!